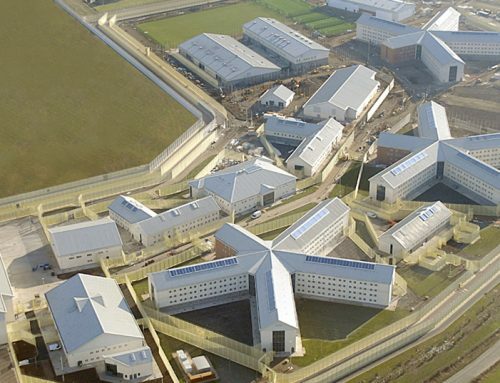 36 cell custody suite using 237 pre cast units and 16 architectural sandwich panels. Integration of PreFastCore solution for stair cores in the office. Design, manufacture and construction of feature stairs at the front of the office. Integration of M&E within the precast walls and floors. PCE’s internal design team used BIM to design the custody suite to ensure that everything fitted perfectly once on site. High quality precast finish to wall units within the custody suite corridors only required a painted finish. Split visit programme over three visits – five week programme in total. Use of PreFastCore resulted in both cores being installed to full height in less than two weeks which included stairs and landings, allowing follow on trades to commence their work sooner. 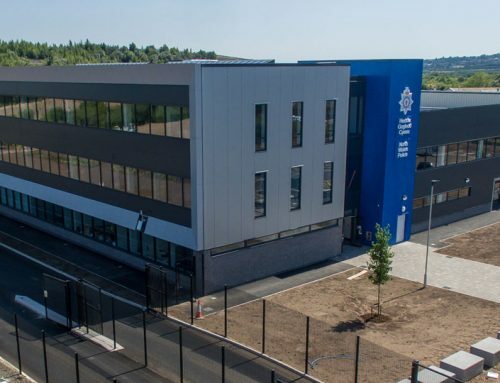 MACE appointed PCE Ltd to provide the Custody Suite and two structural cores for the new Police Investigation Centre at Basingstoke for the Hampshire Police Authority. 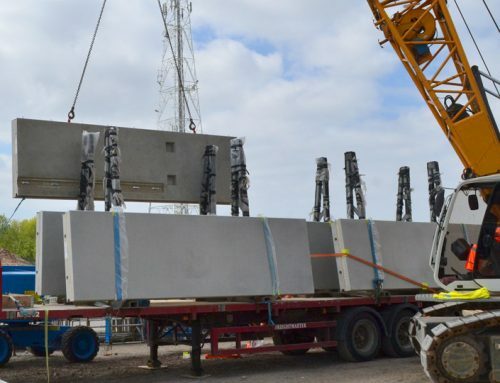 Over the past few years, PCE has built up an impressive portfolio of providing offsite engineered precast concrete custody suites for Police Authorities, but this does not mean that such projects are “run of the mill”, or that a new enquiry does not receive the attention to detail that PCE are recognised for. At Basingstoke a total of thirty six custody cells were provided with other ancillary and reception rooms and secure exercise areas. There was an onsite programme of approximately five weeks. Just prior to and after the Christmas period, PCE also provided on a design and construct basis two number three storey structural cores formed from volumetric box sections. One is a combined stair core and double lift shaft the second a stair core, both being constructed to their full height in only two and a half working weeks and they will provide structural stability to the steel frame that forms most of the administrative facilities of the centre. The onsite programme was approximately five weeks. Each new custody suite enquiry is carefully assessed by the PCE team and by using information received from project debrief meetings of previous similar projects an offsite engineered solution is arrived at that meets the new clients particular needs.